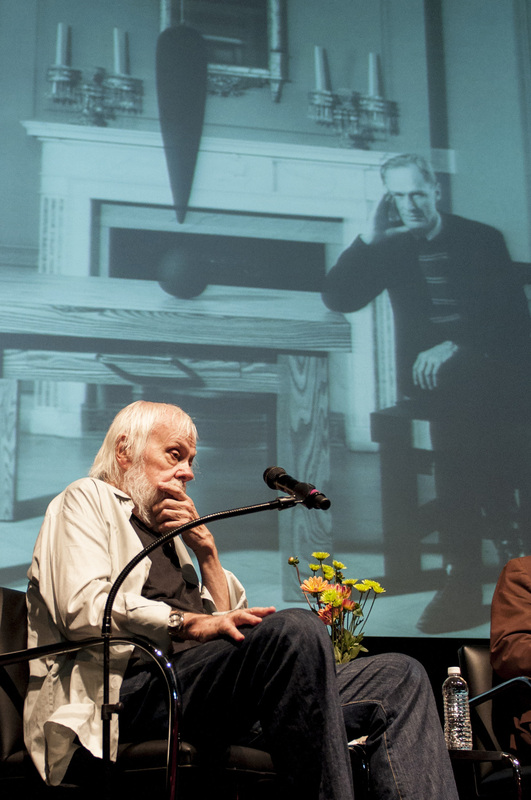 6/23/2013---Los Angeles-based art luminaries John Baldessari and Ed Ruscha discuss the work of Richard Artschwager. Baldessari is known for his conceptual work that often intersects artistic genres and media. His work has been featured in more than 200 solo exhibitions and more than 1,000 group exhibitions in the United States and Europe. Ruscha's work encompasses painting, drawing, photography, and artist's books. He has been the subject of numerous international museum retrospectives. This discussion is moderated by Bob Monk, director of Gagosian Gallery's Uptown Gallery, New York (Run time: 1 hr 6 mins). 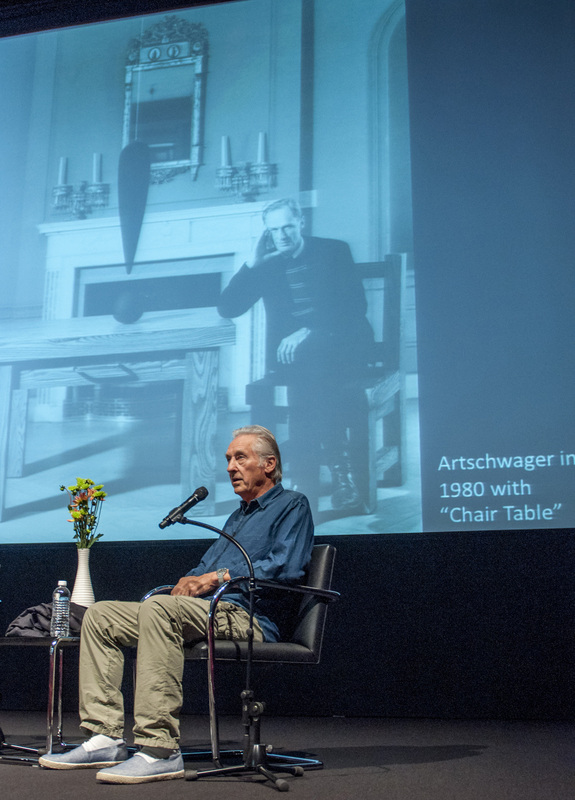 Los Angeles–based art luminaries John Baldessari and Ed Ruscha discuss the work of Richard Artschwager. Baldessari is known for his conceptual work that often intersects artistic genres and media. His work has been featured in more than 200 solo exhibitions and more than 1,000 group exhibitions in the United States and Europe. Ruscha’s work encompasses painting, drawing, photography, and artist’s books. He has been the subject of numerous international museum retrospectives. This discussion is moderated by Bob Monk, director of Gagosian Gallery’s Uptown Gallery, New York. In conjunction with Richard Artschwager! Free tickets are required and available at the Billy Wilder Theater Box Office, one ticker per person on a first-come, first-served basis. The box office opens at 1:00PM. The theater is expected to reach capacity. Visitors are encouraged to arrive early. Hammer Members receive preferential seating and have access to tickets before general admission. Members are encouraged to arrive at least 30 minutes before the program begins. Membership does not guarantee seating. A live, hi-definition simulcast will be available in the adjacent Annex space. Once the theater is full, remaining patrons will be seated in the Annex space.